Amy Sedaris's TruTv show "At Home with Amy Sedaris" is up for an Emmy this year for Outstanding Variety Sketch Series, so we're bringing back our interview with her from 2017. Amy's made a career playing characters - and we say this with absolutely *zero* shade intended - people who are kind of grotesque and weird- the weirder the better! There's Jerri Blank from "Strangers with Candy" - a middle-aged high school student with an overbite, weird highlights, and a penchant for mom jeans. There's also Mimi Kanasis- the crazed, kinda plastic-y, socialite on "Unbreakable Kimmy Schmidt." On "At Home with Amy Sedaris," she pretty much plays herself. She talks with Jesse about how that's a transition out of her normal comfort zone. 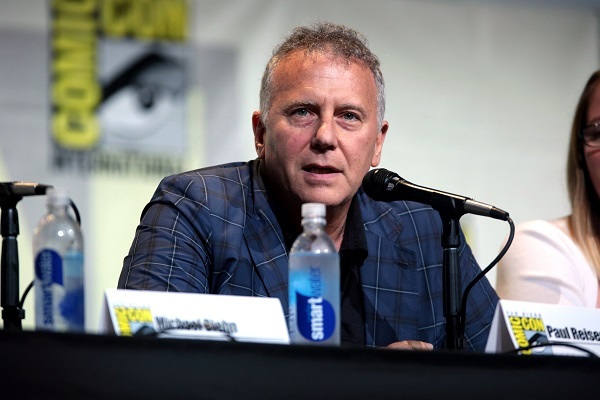 Paul Reiser on Dramatizing The Tonight Show's Golden Days. Paul Reiser is, of course, a long time stand up. Alongside Helen Hunt, he starred in the hit sitcom "Mad About You." He's great in Amazon's "Red Oaks," Netflix's "Stranger Things," he was in "Whiplash," too. He's also the creator of the Hulu TV series "There's...Johnny!." It's set in the early 70s, behind the scene of the "Tonight Show with Johnny Carson." Reiser knew Carson about as well as anybody could. He dishes on what it was like appearing on his show almost a dozen times, how the show came together, and what it was like following up a hit show like "Mad About You." The interview originally aired in 2017. The Outshot: Who Needs Donuts? Finally, for this week's Outshot: Who needs "Who Needs Donuts?" 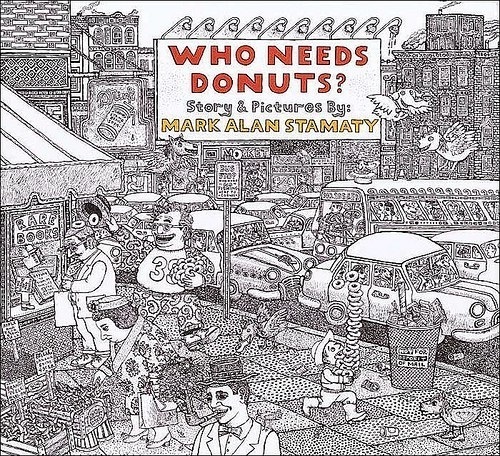 You need "Who Needs Donuts?" This segment originally aired in 2017. New to Bullseye? Subscribe to our podcast in Apple Podcasts or with your favorite podcatcher to make sure you automatically get the newest episode every week. Amy Sedaris made a career playing characters - and we say this with absolutely *zero* shade intended - people who are kind of grotesque and weird. The weirder the better. There's Jerri Blank from Strangers with Candy - a middle aged high school student with an overbite, weird highlights and a penchant for mom jeans. Or Mimi Kanasis, the crazed, kinda plastic-y socialite on Unbreakable Kimmy Schmidt, too. But on her new show, At Home with Amy Sedaris, Amy pretty much plays herself. She talks with Jesse about how that's a transition out of her normal comfort zone. Paul Reiser is, of course, a longtime standup. Alongside Helen Hunt, he starred in the hit sitcom Mad About You. And he's been acting a lot lately, too - he's great in Amazon's Red Oaks, Stranger Things, he was in Whiplash too. He's also the creator of a brand new TV series, it's called There's Johnny and it's premiering this week on Hulu. It's set in the early 70s, behind the scene of the Tonight Show with Johnny Carson. Reiser knew Carson about as well as anybody could and dishes on what it was like appearing on his show almost a dozen times, how the show came together and what it was like following up a hit show like Mad About You.